Agastache’s common name is the Giant or Anise Hyssop dependant on the variety and originates from North America and the Far East. They are extremely useful perennials in the garden as they grow in poor, dry ground. The most common variety of this scented perennial is probably ‘Blue Fortune’ but there are also varieties with deep purple, white, apricot, orange and red blooms. 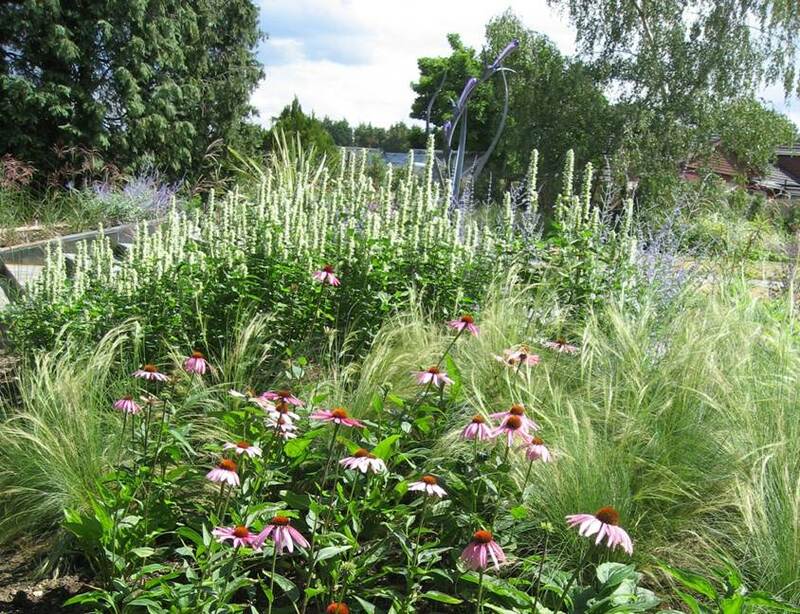 The white version is used here as a backdrop to soft Stipa grasses and purple echinaceas in a naturalistic planting scheme. 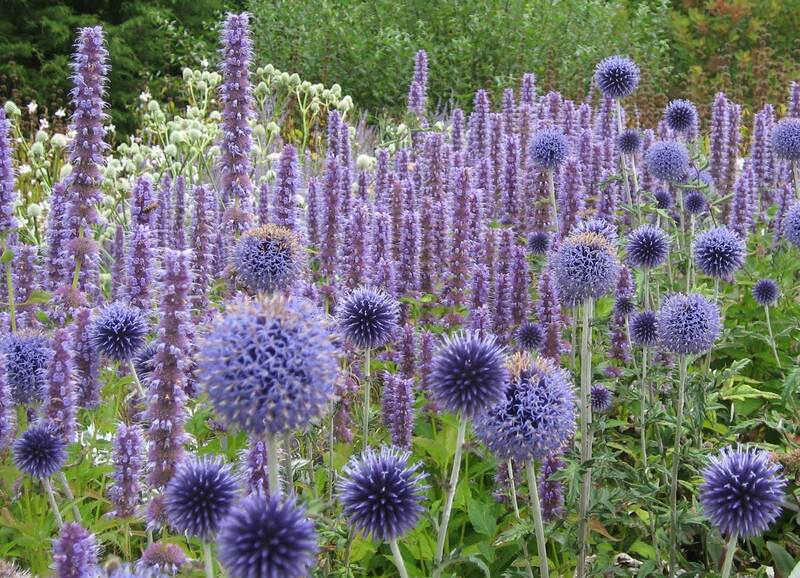 They are particularly effective when planted en mass but can be grown in gravel or Mediterranean style gardens as well. Plant in full sun and protect from hard frosts. Agastache are most attractive when planted in combination with other late flowering perennials such as Echinops or Japanese anenomes and silver foliage plants. Using varieties of the same colour but different shape creates a pleasing effect. They produce prolific flowers from August through to November, the individual flowers will blooming for several weeks. Once they have faded, they can be left through the winter as structural planting. The dead heads look extremely effective on a frosty morning. It is a nice plant with foliage that smells of aniseed.